Water A newly planted ocotillo requires water once per week during the hot, dry summer and can take monthly irrigation during the cooler months. This tall, graceful deciduous shrub with long canes grows slowly to twenty feet tall with a fifteen-foot spread. 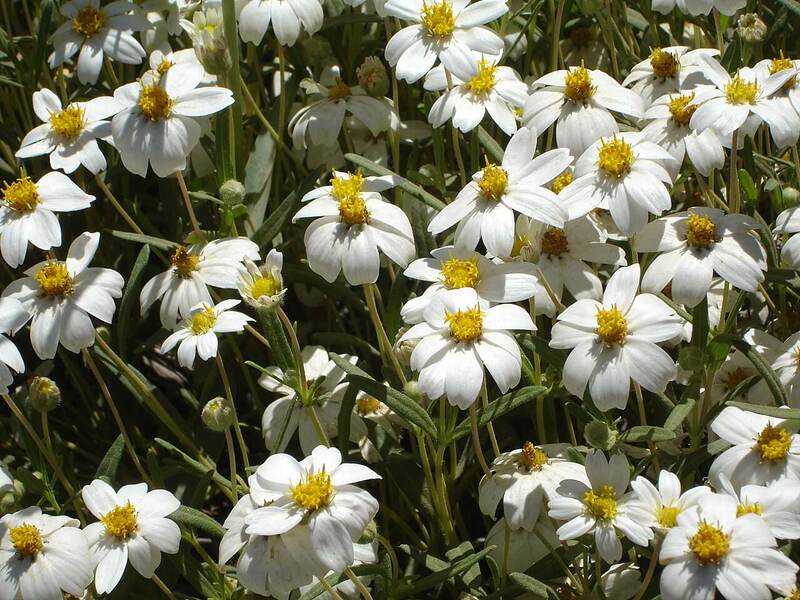 It has spiny, sharp, pole-like stems and light to dark green, oval, two-inch leaflets. The ocotillo grows upright and has few branches. The plant produces showy, dense spikes of orangey-red tubular blossoms on the ends of its branches that hang like tassels. In lower elevations, the blossoms appear in February or as late as May in higher elevations. The blooms last about a month, with flower clusters up to one foot long. 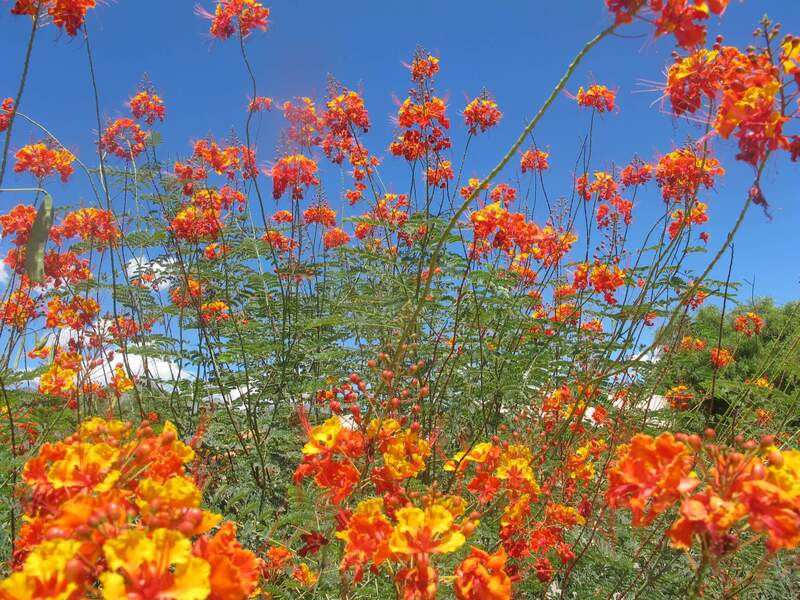 When in bloom, this plant attracts hummingbirds, bees, and butterflies. The long tubes on the flowers form an excellent food source for the hummingbirds to obtain nectar, using their beaks to reach the bottom part of the flower. Antelope and ground squirrels climb onto the branches to feed on flowers and seeds from this plant. The blossoms can also be soaked in cold water to make a refreshing drink. The cut stems can be used for fencing or as a barrier planting and for ramadas, since the canes are long-lived. Use it as an accent or specimen for its magnificent silhouette, or as a specimen plant against large walls for its exquisite shape and form. 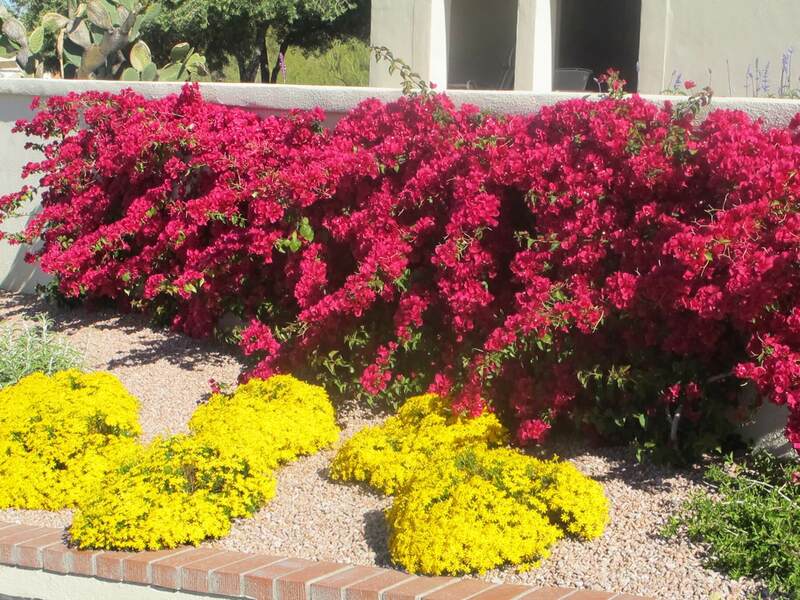 This is a great choice for desert landscapes. 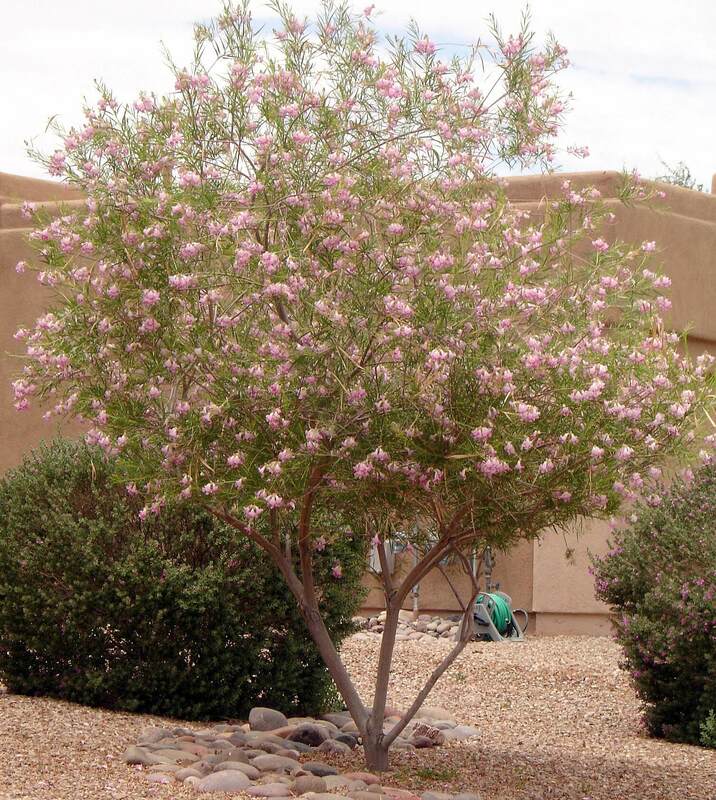 It is native to the Sonoran and Chihuahuan deserts, the southern Mohave Desert, central Mexico, and central Texas, growing at elevations below 6,000 feet. At higher elevations, the plant grows in limestone and rock, while at lower elevations it grows in granite and sandy soil. 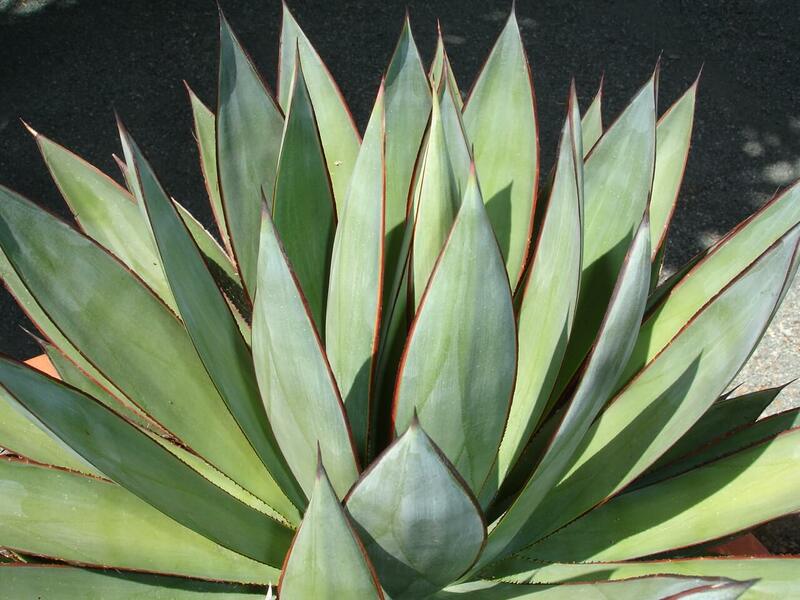 This plant likes full sun and reflected heat and needs little water once established. A newly planted ocotillo requires water once per week during the hot, dry summer and can take monthly irrigation during the cooler months. 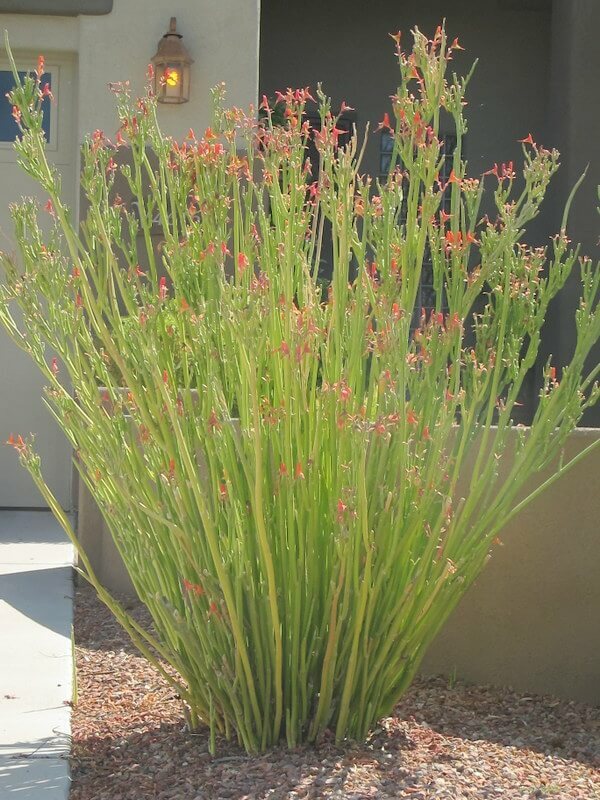 The ocotillo prefers rocky, well-draining soil and is hardy to ten degrees Fahrenheit or lower. It has a shallow root system, so when planting bare-rooted specimens from the nursery, water the canes by spraying them with a hose. Dig the planting hole twice the size of the root ball. It may take several months for a transplanted shrub to develop leaves, since the plant is generally leafless for most of the year. Large, bare-rooted plants are slow to establish new roots and it may take two years or more for leaves and root to grow. When the summer monsoons arrive, the plant develops new foliage.